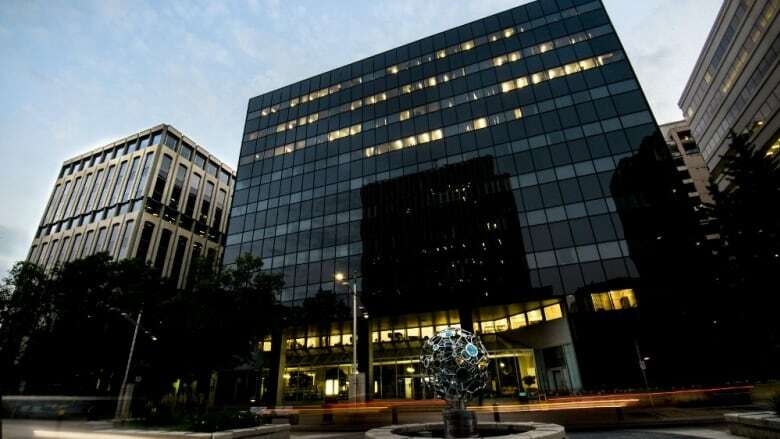 A fire at a downtown Edmonton office building has displaced hundreds of Government of Alberta employees, and crippled critical on line industrial applications handled by government computer servers. A fire at a downtown Edmonton office building has displaced hundreds of Alberta government employees and crippled critical online industrial applications handled by government computer servers. According to Environment and Parks spokesperson Matt Dykstra, 465 government employees across five ministries have been moved to different offices, or are working from home while damage is being repaired. "There was smoke and water damage from the sprinkler systems that impacted a few different floors as well as the air conditioning system for the building," said Dykstra. "The hot weather that we have right now makes it unsafe for employees to be working in that building at this time." The July 30 fire, on the 11th floor of the Forestry Building, 9920 108th St., also affected the data centre in the mechanical room. "It's rendering the Alberta Environment and Parks server non-operational," Dykstra said. He said the public won't notice any delays, but a notice posted on the Environment and Parks website says that due to the fire, telephone calls to the information centre will not be answered, and all inquiries must be made by email. There will also be an impact on industry. The damaged computer servers are used by the Alberta Energy Regulator (AER). The service disruption means online applications that would normally take two or three days to process will be slower. In an online bulletin, the AER said applications done manually will now take up to two weeks to approve. AER spokesperson Shawn Roth said in an email a workaround has been developed in meantime. "The AER will be manually processing applications for Temporary Field Authorizations (TFAs), seismic exploration permits, and formal land disposition applications and issuing temporary approvals by email until the systems are restored." However, the AER bulletin also indicated some work has been put on hold, until the servers are back in operation. The AER said it is unable to accept new applications for formal land dispositions, or to process TFA applications that require documentation on First Nations consultation. The Alberta government leases the Forestry Building office space from Vancouver-based property management and investment firm, QuadReal Property Group. Dykstra said he doesn't know when employees will be back in the building or when the computer servers will be working again. The cause of the fire has not been determined, and there is no estimate of damage.